Using traditional chemical rockets, a trip to Mars -- at quickest -- lasts 6 months. But a new rocket tested successfully last week could potentially cut down travel time to the Red Planet to just 39 days. The Ad Astra Rocket Company tested a plasma rocket called the VASIMR VX-200 engine, which ran at 201 kilowatts in a vacuum chamber, passing the 200-kilowatt mark for the first time. "It's the most powerful plasma rocket in the world right now," says Franklin Chang-Diaz, former NASA astronaut and CEO of Ad Astra. "Le petit prince" (the little prince) is a miniature greenhouse (concept) intended to walk a plant around Mars' surface in search of optimal growing conditions -- elements from light to nutrients. 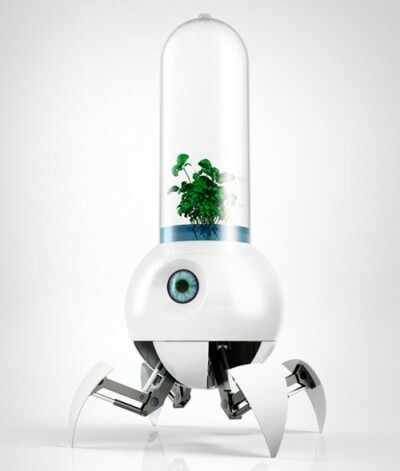 Eventually the robot masters its environment, sharing growing tips with a whole swarm of bots plant-growing robots. But the prince is not just a growing machine -- the designer and 2009 Electrolux Design Lab finalist considers the bot first and foremost as a "pet" or "silent friend" to keep a colonist company. 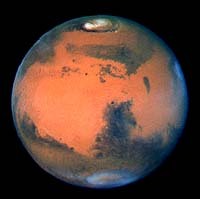 Dr Michael Mumma, director of Nasa's Goddard Center for Astrobiology and lead author on the previous paper, told BBC News it was vital to understand how methane was destroyed on Mars and to explain how so much of the gas is produced and destroyed so quickly on the Red Planet. Astronaut Buzz Aldrin's recent comment about a "monolith" on one of the moons of Mars has aroused considerable interest. What "monolith"? Is Aldrin implying that Mars' diminutive "potato" moons host a relic of intelligent manufacture? Frankly, I very much doubt it. Aldrin is almost certainly referring to an anomalous (if most likely geological) feature on the surface of Phobos, the larger of Mars' two moons. Here's a vision of the future of Mars exploration I can live with. Note the alien ruins (?) near the end. Some salts, like perchlorates, lower the freezing point substantially. It turns out that the temperature for the liquid phase of magnesium perchlorate -- 206 degrees Kelvin -- is a temperature found on Mars at the Phoenix landing site. Based on temperature findings from the Phoenix lander, conditions would allow this perchlorate solution to be present in liquid form for a few hours each day during the summer. "The window for liquid is very small," Hanley said. 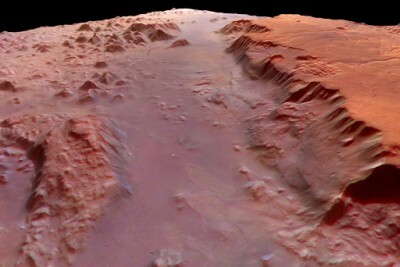 Nevertheless, this finding further supports the possibility of finding life on Mars. Peter Smith feels pretty certain we'll be finding life on Mars within the next decade. Smith, the University of Arizona professor who led NASA's Phoenix Mars Mission, made his predictions to a spellbound audience during a lecture at the University of Delaware earlier this month, and he discussed his ideas by phone on Thursday. He carries a "sense of optimism" about finding life on Mars, he said, because of the tantalizing clues Phoenix sent to Earth. "I think the next decade is a very active time for searching for signatures on Mars," he said, "and my personal belief is we'll find them." I'll make an even bolder statement: If we haven't conclusively established the presence of life on Mars within the next decade it won't be because it's not there; it will simply indicate that we're not trying hard enough. But the gist of the work is worth repeating: members of the MRO HiRise team are using fresh impact craters as probes of the subsurface, and are finding ice farther south than anyone has thought possible. The authors watched the ice sublimate away over subsequent weeks, and used calculations from that to show that this ice is solid and nearly pure, not just a little bit of pore ice mixed in with the soil. And since these craters lie around 45 degrees north, it means that the subsurface ice that Mars Odyssey spotted (providing the raison d'etre for Phoenix) extends further south than previously thought. 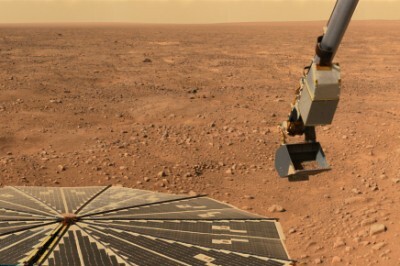 Chemical signs of life can be ambiguous, but Ruvkun and his team hope to find its unequivocal signature by sending a DNA amplifier and sequencer to Mars in the next decade. They're betting that any life on the Red Planet shares an evolutionary heritage with life on Earth, and therefore contains a similar genetic code -- a requirement that other scientists say is too narrowly focused, since Martian life may have evolved independently and therefore may have very different chemistry. "It is really like a real space flight without the weightlessness and the danger to our lives," said Sergei N. Ryazansky, a cosmonaut-in-training who will lead the mission. "On the inside, we will have a lack of incoming information, so it's the science of sensory deprivation." Called Mars-500, the Russian-led project based at the Institute for Biomedical Problems here will culminate in a 520-day simulation beginning early next year of a complete manned mission to the planet -- a time frame that incorporates launching to Mars touchdown and back -- that scientists hope will edge humanity a little closer to that next giant leap. I don't know about you, but if I had to stare at tacky wood-grain decor for 520 days it's a fair bet I'd need psychiatric counseling. We're going to Mars in *this*? "We're just very proud to build this, do some testing and demonstrate to America that we're moving beyond the space shuttle onto another generation of spacecraft," said Don Pearson, project manager for the Post-Landing Orion Recovery Test or PORT. NASA plans to use Orion to carry astronauts to the International Space Station by 2015. The capsule will rotate the crew at the station every six months "to work out the kinks" before heading to the moon and Mars, Pearson said. Trips to the moon are scheduled for 2020, while a journey to Mars is believed possible by the mid-2030s. Prepare for a bit of disappointment. Dark pits on Mars are fascinating -- probably because they provide mysteries and possibilities. Could anything be inside? 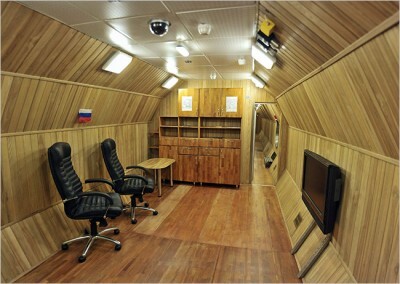 Or could this be a place where humans could set up a base since it would provide shelter from Mars' harsh environment? I just downloaded Google Mars. What I've seen so far is fascinating, although the requisite commentary on the "Face on Mars" is facile and alarmingly one-sided. Here's a scientifically literate page that should have been referenced. We're sending life to Mars. 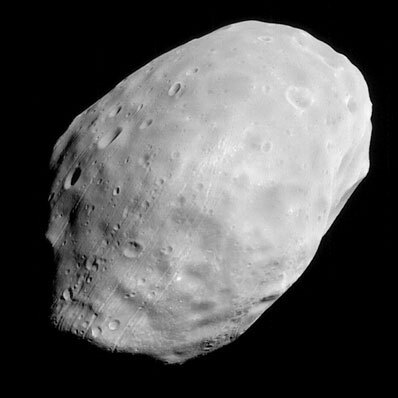 No one knows if there is life on Mars, but if all goes well with a Russian science mission later this year, there will be life on the Martian moon Phobos -- for a short time anyway. An assortment of critters and microbes are scheduled to make a round-trip journey to Phobos as passengers aboard a Russian spacecraft, scheduled to launch in October. Given Russia's track record with Mars ventures, it's at least conceivable that the aforementioned "critters" will escape the confines of their craft and go native . . . Assuming we avoid a systemic collapse, there'll probably be a moon base, by and by. Whether it's American, Chinese, Indian, or Indonesian is anybody's guess, and probably doesn't matter as far as the 99.999% of the human species who will never get off the planet are concerned. There'll probably be a Mars expedition too. But barring fundamental biomedical breakthroughs, or physics/engineering breakthroughs that play hell with the laws of physics as currently understood, canned monkeys aren't going to Jupiter any time soon, never mind colonizing the universe. I sincerely hope I'm wrong, but I have have a sinking feeling this might be the closest thing NASA presently has to a viable plan for manned Mars exploration. As long as we’re still pondering human origins, we may as well entertain the idea that our ancestor microbes came from Mars. And Jay Melosh, a planetary scientist from the University of Arizona in Tucson, is ready with a geologically plausible explanation. "Biological exchange between the planets of our solar system seem not only possible, but inevitable," because of meteorite exchanges between the planets, Melosh said. "Life could have originated on the planet Mars and then traveled to Earth." 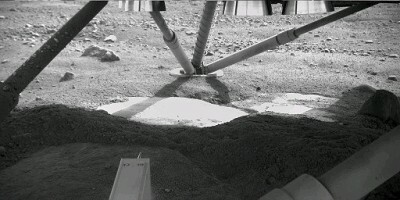 Phoenix lander may have captured the first images of liquid water on Mars - droplets that apparently splashed onto the spacecraft's leg during landing, according to some members of the Phoenix team. The search for artifacts on other planets is by no means limited to "seeing faces." Aside from calling on archaeologists when confronted with anomalous surface formations, mission planners can test spacecraft images for telltale "nonfractal" terrain signatures. As part of a long-running "debunking" campaign, Malin Space Science Systems (the camera subcontractor for NASA's Mars exploration program) has popularized the so-called "Happy Face Crater," a feature often cited to defuse discussion of the more robustly detailed Cydonia Face. Consisting of a crater basin with attendant debris in the shape of a crude smile, there doesn't appear to be anything truly anomalous about the Happy Face. But subjecting the crater to an impartial scan in order to ascertain its fractal signature would go a long way toward arriving at an objective conclusion. Is the Happy Face more or less fractal than its neighboring craters? Better yet, how would it stack up to the better-known Face in Cydonia? Intrigued by the potential of fractal algorithms to deduce artificial constructions, image processor Mark Carlotto tested images of the Cydonia region. The Face registered suspiciously high, as did another contested feature. Since Carlotto's computer algorithm wasn't designed to seek out faces, the Face's conspicuous nonfractal signature offered a quantitative argument favoring an artificial origin. Carlotto's enticing proof-of-concept has yet to be embraced by the space science community. 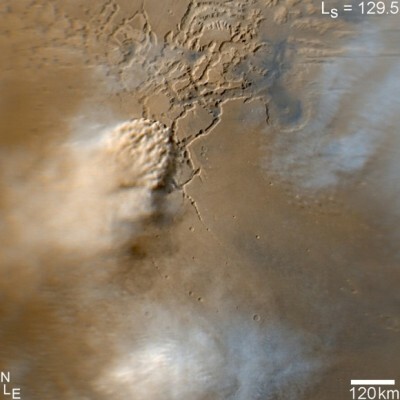 Indeed, Carlotto himself has yet to put newer images of Cydonia to the test. But given the computing might of today's desktop systems, it's not unrealistic to imagine a committed search for anomalous fractal signatures on distant planetary surfaces. What do we have to lose? This piece originally appeared at aboutSETI.com.